Woodman’s Markets began in 1919 in Janesville, WI, as a produce stand. Two supermarket stores were opened in Madison, WI in the years 1979 and 1984. The two stores were the first to adopt a warehouse model that is currently operational in all supermarket locations. 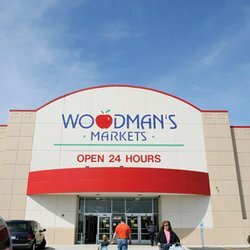 Woodman’s has grown and expanded greatly since its inception. Currently, it has a total of fifteen stores across northern Illinois and Wisconsin. In 1998, the ownership of Woodman’s Market changed to an employee owned company. The company hit the one billion dollar mark yearly sales in March 2008. In terms of operation, Woodman’s has embraced the warehouse model, whereby stores are spaced in a foot range of 200,000-250,000 square feet. This is contrary to normal grocery stores that have a range of 50,000-75,000 square feet. Another feature concerning the stores is that they have low-level amenities, mostly made of cheap materials. The company opens new stores every two to three years because it opts not to take on debt. Woodman’s has adopted a bulk-purchasing model. For this reason, the company sells its products at lower prices compared to big grocery stores. Organic eggs and organic milk is too be placed in all retailing grocery stores in your state and north America. . Executive order usda, dept of interior federal meat inspectors act food safety modernization act, equal pay act, fair housing act. Consumer protection act. Can I order for delivery please?